If you're someone who has carpeted flooring, then you definitely want to do all that you can to keep it looking fresh and clean at all times. But when you have children or pets who live with you, sometimes than can be really challenging. That doesn't mean it's impossible, though. There are actually a few things that you can do that will definitely reduce the amount of dirt and stains that accumulate on your carpet - things that will keep it in good condition for years to come. If you're like to know some of the most effective carpet stain protection tips for homeowners, here is a list of five that you can start doing today. Don't wear your shoes indoors. One of the easiest ways to track dirt onto your carpet is to walk on it with your shoes. That's because when you're outdoors, there are all kinds of debris that can get caught up in your soles. You can prevent this from being an issue by asking everyone to take off their shoes before coming into your house. You can even put out a basket of socks by the front door for your guests. It tends to make them feel more at home when they are able to take off their shoes anyway. Put down area rugs. When it comes to places like your hallways and the area in front of your couch or chairs, it's also a smart idea to put down some area rugs. Being that those are areas that tend to get a lot of traffic, it's another great way to protect your carpet. Plus, area rugs are aesthetically appealing too. Vacuum regularly. Oftentimes, there are tiny particles of dirt and debris that are not easy to see but can end up getting trapped in your carpet's fibers. Something that you can do to prevent this from becoming a big problem is to vacuum your carpet a couple of times a week. Just make sure that you avoid putting down any kind of powdery carpet freshener. Although it can help to remove odors, it also tends to leave behind a residue that's hard to remove. Wipe up spills immediately. 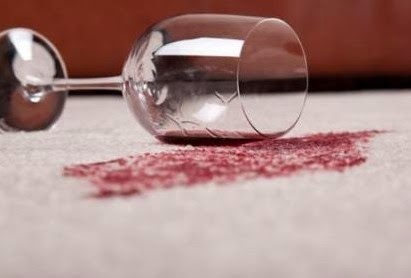 Spills are something that no one wants to get on their carpet. One way to avoid this is to have a "no drink rule" in the rooms where you have carpets. However, if an accident does happen, make sure that you don't let the liquid seep into the carpeting for a long period of time. Get a clean cloth to blot it up. Then you should apply some kind of cleaning solution. Although you can use a carpet stain removal product like Chem-Dry, you can also use household items including white vinegar and hydrogen peroxide. For information on how to make your own carpet cleaning solution, visit Homeguides.SFGate.com and put "clean stained carpet naturally" in the search field. Consider investing in stain-resistant carpeting. If it's time to replace your carpet, something that you might want to consider doing is putting down some stain-resistant carpet. It's made out of a fiber that makes it hard for stains to sink into your flooring. As far as maintaining the carpet that you currently have, consider applying a carpet protectant. One that bonds to the fibers and seals them so that spills will not affect them nearly as much. For information on exactly when you should apply carpet protectant, visit Carpet Cleaning Southside VA and put "when should I add carpet protectant?" in the search field.